2 Bedroom Semi Detached House For Sale in Uckfield for Offers in excess of £500,000. This wonderful semi-detached character period country cottage offers exceptional outbuildings with lots of potential for working from home or creating an annexe (stpp). There is lapsed permission for a B&B. 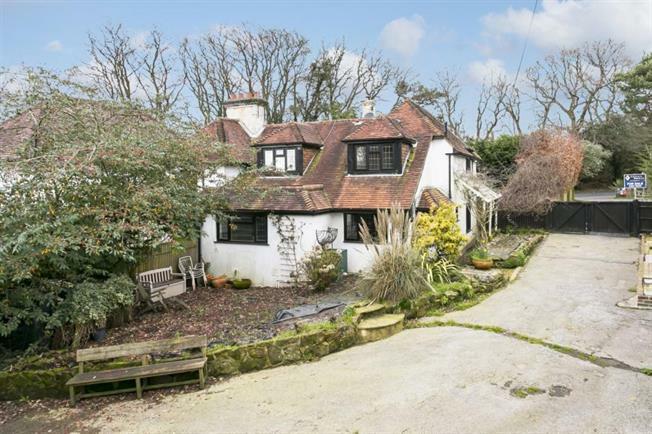 Set in a semi rural location on the wonderful walkers paradise Ashdown Forest. Packed full of period features including exposed beams and feature wood burning fireplace. Spacious entrance hall with stairs to above and down to the cellar, cloakroom with wc. The well fitted farmhouse style double aspect kitchen/dining room has a tiled floor and opens to the garden. Sitting room with beautiful feature inglenook with wood burning stove also open through to the Dining Room. On the first floor there are two large double bedrooms with en-suite bathrooms to both and a further dressing room. Outside the property is approached via Ashdown Garden Centre with shared driveway leading to the property. Passing through gates leading to a large parking area. The range of outbuildings include a large barn converted to a double garage and workshop/store with power and light. Further substantial outbuilding with power and light connected these outbuildings offer a fantastic opportunity to create a work from home space or annexe subject to pp. The gardens are to the side and rear of the property all enclosed with well stocked borders. Located on the Ashdown Forest within easy reach of both Uckfield and Crowborough town centres both with main line stations. Fairwarp village is close by with country pub and school. Set on the edge of the Garden Centre with full access. The garden centre has a lovely coffee shop perfect for afternoon tea! The property offers excellent potential and is now available with no onward chain. The agents Highly Recommend a viewing to appreciate this properties potential.